Asus Zenfone Max is finally in the news again after it has been confirmed that it will be released in India on 4th Jan 2016 exclusively on Flipkart. The phone was already announced back in August 2015. As the name suggests, Zenfone Max has a huge 5000mAh battery which ensures two-day backup without any comprise with the usage. No doubt that it is the best battery efficient phone. The phone has metal-effect bezels and leather feel back cover. The metal-effect bezels mean that it does not have the metal frames but look like metal frames. The build quality seems to be average with no eye candy physical feature. Asus Zenfone Max will feature a 5.5 inch IPS HD display with a resolution of 1280 x 720 pixels. The screen is protected by Corning Gorilla Glass 4. The phone runs on Android 5.0 Lollipop with Asus ZenUI 2.0 over the top. The phone is powered by 64 bit Snapdragon 410 Quad-core 1.2 GHz processor, Adreno 306 and 2 GB RAM. The phone comes in two memory variants, i.e. 8GB and 16GB. The storage can be expanded up to 128 GB via micro SD card. Zenfone Max sports a 13 MP primary camera with dual-LED (dual tone) flash and a powerful laser auto focus. In addition to 13MP primary camera, the phone also has 5 MP front facing camera. The main focus of the phone is its huge battery, which is Li-Po 5000 mAh battery. The other features include Wi-Fi, Bluetooth, GPS, USB port and 3.5 mm audio jack. Asus Zenfone Max is a dual SIM smartphone with 3G and 4G support. According to the company, the 5000mAh battery can hold a charge for over 38 days. The phone is available in black and white colour. 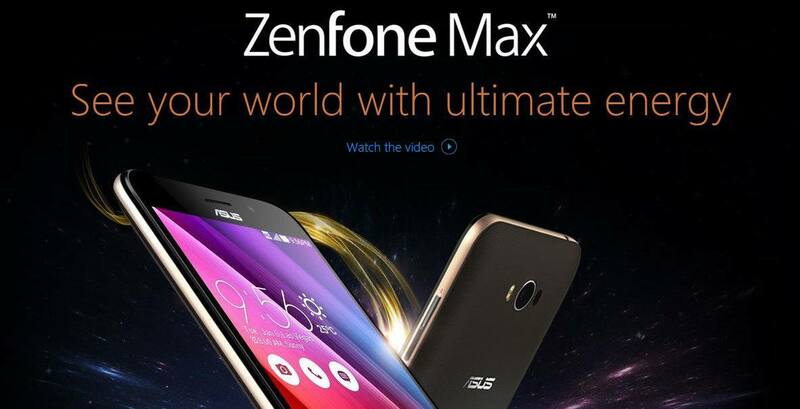 The price of Asus Zenfone Max are still not disclosed and will only be revealed on its release date, i.e. on 4th January 2016 on Flipkart. The phone can be categorised under budget phone and can be priced around Rs. 9,999 6,999. The phone has been launched in India for Rs. 9999. You can buy Asus Zenfone Max on 4th Jan 2016 via Flipkart. To get more updates on Asus phones, stay tuned with us.